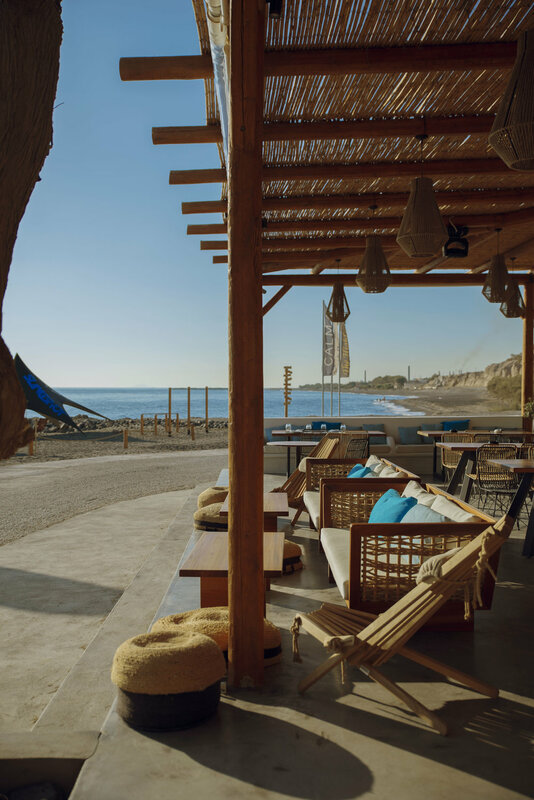 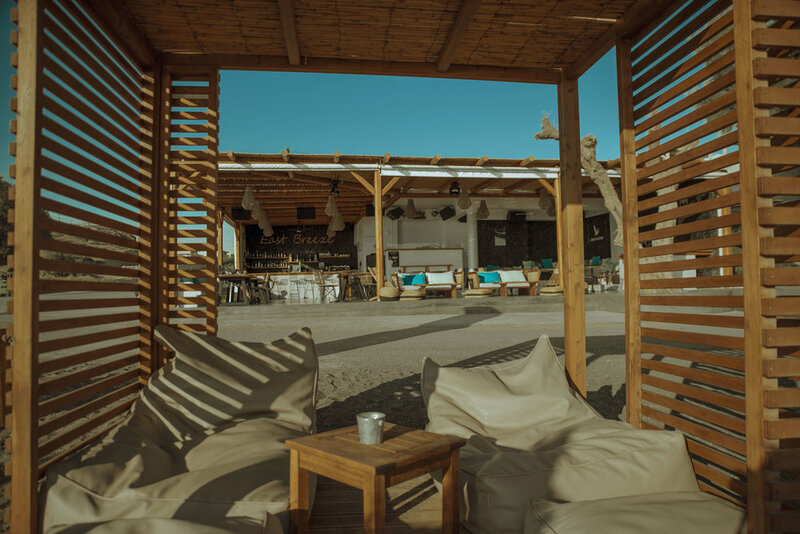 Set on the black-sand of Karterados Beach, this relaxed Mediterranean-style beach bar is a hidden gem on the east side of the island of Santorini. 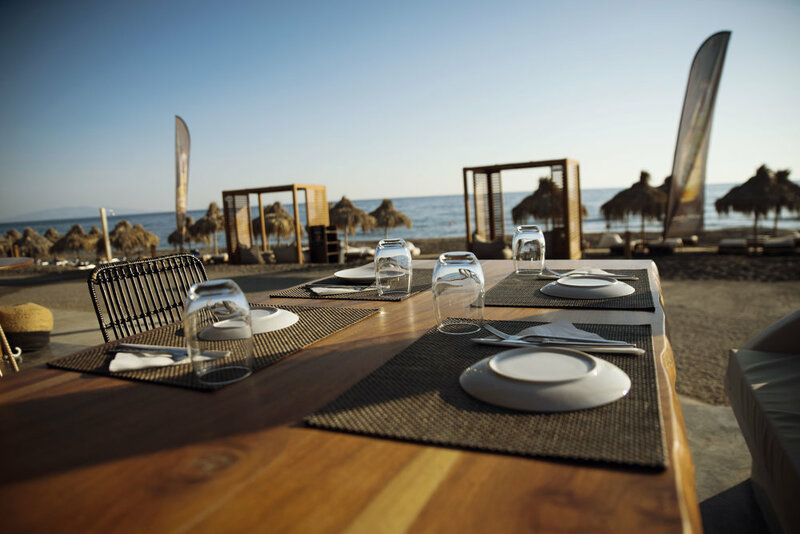 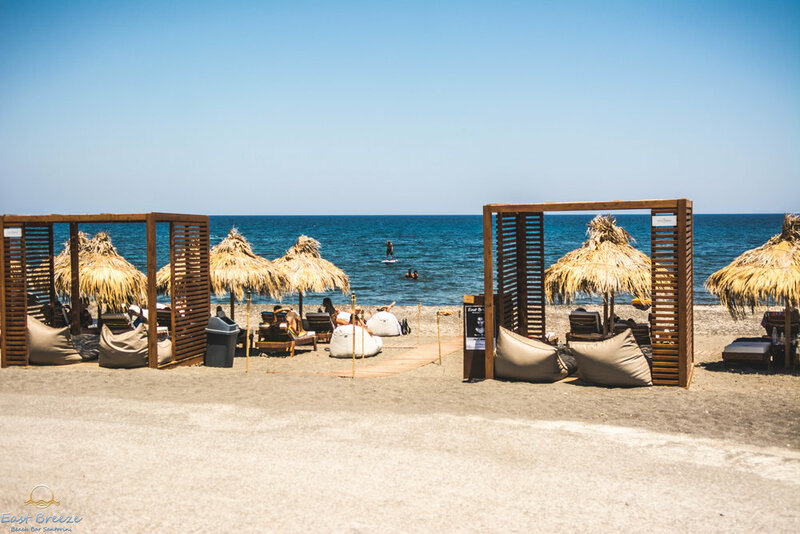 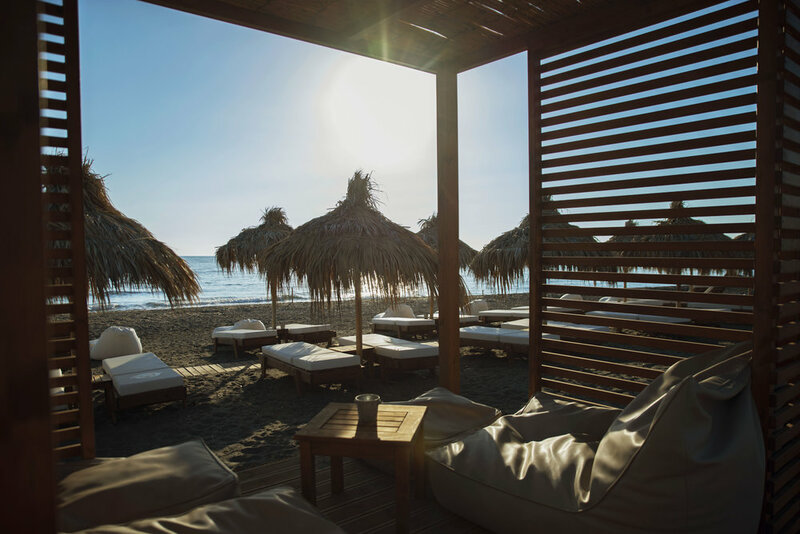 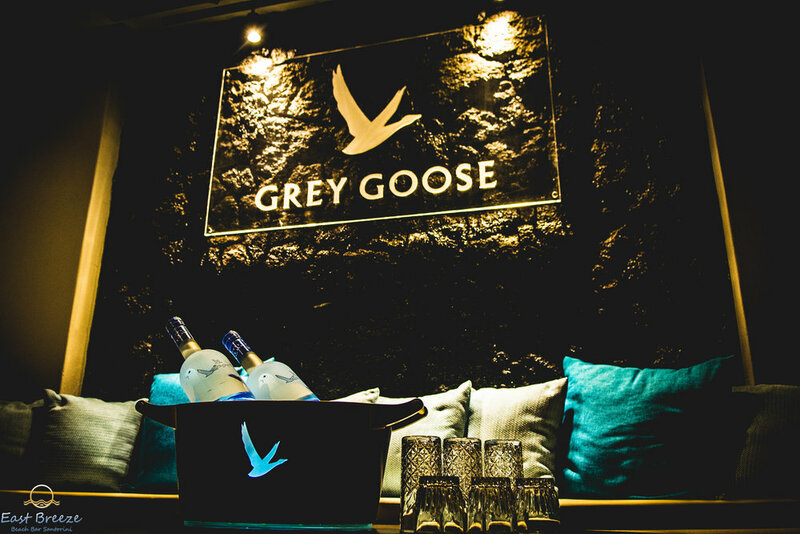 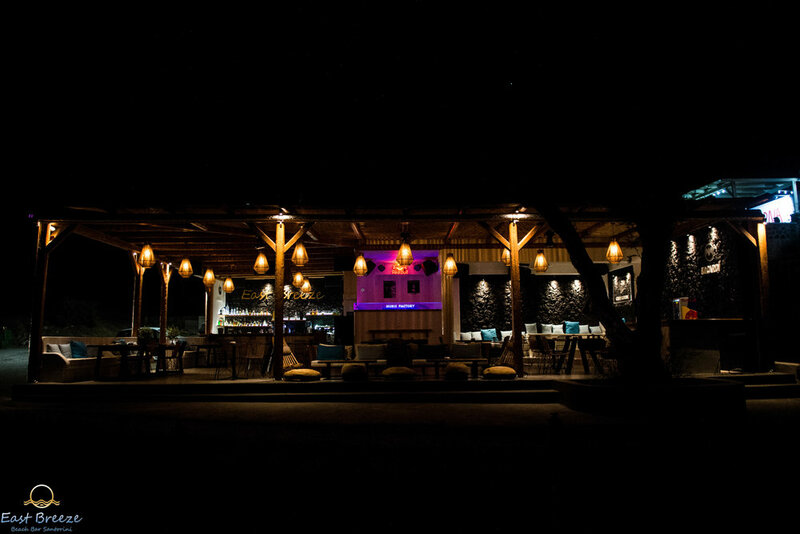 East Breeze Beach Bar - Set in modern, whitewashed property with views of the Aegean Sea, a remote beach with black volcanic pebbles and dark blue, crystal-clear waters. 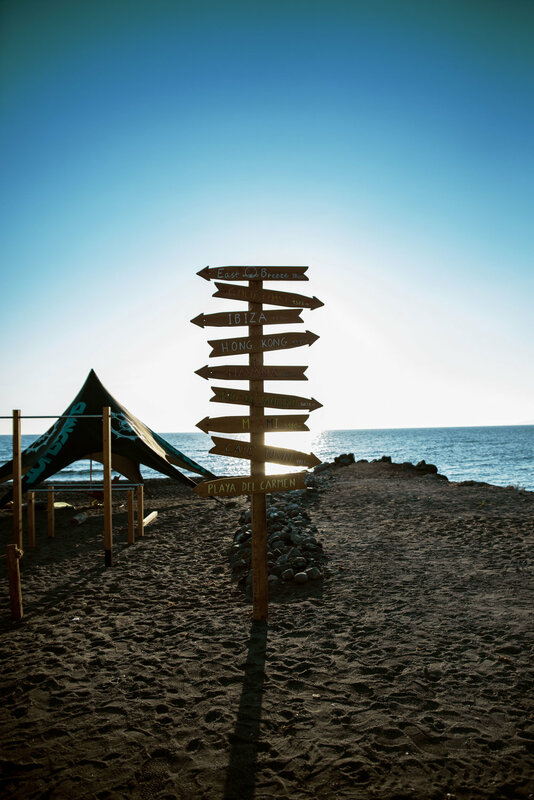 Karterados or Exo Gialos beach has got impressive other worldly rock formations, a beautiful result of the salt and the air that shaped them, which along with the black volcanic sand forms an unusual, extraordinary landscape.